What scars can and cannot be treated? This blog is where we strive to inform and educate on what Body Nouveaux Spa offers, new things we're doing or discovering, and give you all an insight to what we are all about! AromaTouch NOW available at Body Nouveaux Spa in Lincoln NE! What is AromaTouch Massage Technique? AromaTouch Massage Technique is a clinical approach to applying essential oils. AromaTouch Massage improves wellbeing by reducing physical and emotional stressors and supports healthy autonomic function. The technique uses dōTERRA’s Certified Pure Therapeutic Grade (CPTG) essential oils for an unparalleled grounding experience for recipients. Unlike traditional Aromatherapy Massage, the AromaTouch Massage Technique utilizes eight specific essential oils and blends to promote relaxation and stress relief, offer immune support, decrease pain and inflammation and elevate mood. Essential oils applied along energy lines and on reflexology points stimulate homeostasis and balance in the body. How does Wet/Dry Bio-Brasion Trinity (microdermabrasion) work? Together with strategic product application, gentle vacuum pressure lifts skin to interchangeable diamond tips providing an effective yet gentle exfoliation for a more comfortable service than typical microdermabrasion devices. Wet/Dry Microdermabrasion helps treat moderate breakouts, scarring, fine lines, hyperpigmentation and overall skin rejuvenation. Is Wet/Dry Microdermabrasion right for me? Customized for each clients needs. Wet/Dry Bio-Brasion Trinity (microdermabrasion) combines crystal free microdermabrasion, vacuum technology, and strategic product application to provide a gentle and effective exfoliation that leaves skin visibly soft, radiant and glowing! Step 1 PEEL the first abrasion pass over the skin. Using Aquafuse Foam Peel a AHA/BHA (mild acid) hydra foam that dissolves and loosens superficial dry skin cells. Step 2 TARGET the second abrasion pass. Using customized spray serum that is applied to the skin to penetrate corrective ingredients where it will be most effective. Step 3 POLISH the third and final abrasion pass. Using Aquafuse hydrate or brightening will support hydration, skin softening and brightening the skin for a radiant glow. .
A facial specifically for mammas in their 2nd and 3rd trimester to help with circulation, hydration, and relaxation of their baby bump! 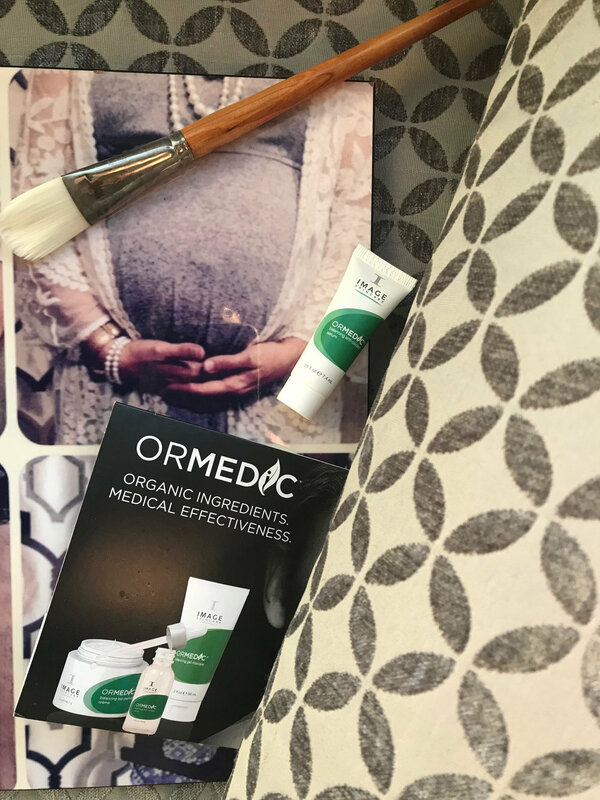 Using all baby safe products from Image Skincare’s Vital C and Ormedic line; this facial is aided to help remove dry, dead skin on the bump to relieve that annoying itch. Additionally providing a light massage for complete relaxation and a face mask to bring that beautiful glow to the face. Add the casting along with your bump facial, and receive it at 50% OFF! Read what some of our Mama’s have to say about their experience! “The baby bump facial they offer is AMAZING and so relaxing. EVERY mom to be should get it! HIGHLY RECOMMEND!!! Made the drive from Omaha and totally would do it again!” -Trisha O. “ I had a baby bump facial yesterday and it was beyond amazing!! completely relaxing and i felt comfortable the entire time. Karleigh is AMAZING!! so sweet and warm and instantly made me feel welcome. ive been to a different spa a few times and always felt like there was awkward small talk and i felt pushed to accept other services, that definitely was not the case here!! she actually talked to me as a real person not just as a customer and i appreciated the entire service. i will DEFINITELY be going back and recommending to everyone i know!! thank you again karleigh i feel pampered and relaxed and ready to go for my induction this week! !❤” -Ashten S.